After moving to the United States from my native Uzbekistan, I founded Silk Road Treasure Tours. Our travel company has been providing travelers with extraordinary experiences in an incredibly unique region of the world. 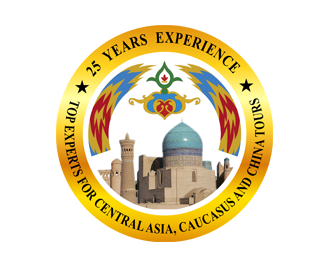 Our brand of specialized custom journeys and small group travel to Central Asia, the Caucasus, the China Silk Road, Mongolia and beyond has continued to grow and win awards and the hearts of our travelers. All of us at Silk Road Treasure Tours would like to express our sincere thanks to our fellow employees, partners, and travel agents, for their unique talents and loyal support. 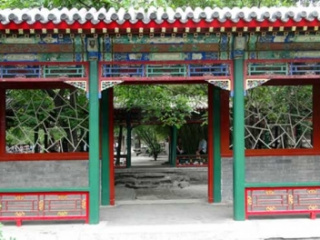 Visiting hidden places along the Silk Road. - Our expert guides will take you on unique, local explorations where travelers rarely go, a mountain village, bio-reserve, space program launch site, even a burning crater in the desert! Participation and premium seating at prestigious local cultural events and festivals. Choose from celebrations like Uzbekistan’s New Year Navruz or Silk and Spice, Kyrgyzstan’s Golden Eagle and Turkmenistan’s many harvest festivals, even the biennial Nomadic Games in Kyrgyzstan. The opportunity to cook with local families. 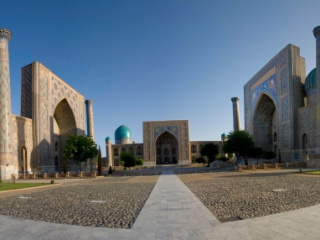 Food in Central Asia is fresh and locally sourced, this is your chance to bake fresh bread in Uzbekistan and Georgia, attend a tea ceremony and relax in a chaykhana in Central Asia or Western China, or shop with a local chef and make a traditional meal in the Caucasus. 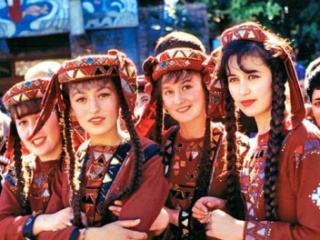 Meet with Central Asian and Caucasus artisans in their homes and workshops. Be part of a master class in ceramics, carpet weaving, jewelry, and embroidery workshops. Wine tastings in Georgia, Armenia and Uzbekistan. These countries have ancient traditions of wine making. Get together with local owners and experts and make your own! Discover local shopping secrets and bring home your own special memories in one-of-a kind pieces from traditional artisans of silk, carpet weaving, wood carving and goldsmithing. There's no other way to describe it, shopping is off the hook here! Curated tours to UNESCO World Heritage Sites. Our connections with local archaeologists, historians and scholars make history come alive at centuries-old fortresses, mosques, bazaars, synagogues, monasteries, and castles. Live the traditions! 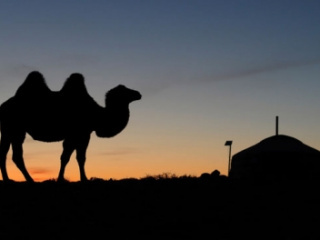 Live like a khan in Mongolia at an award-winning ger (yurt) camp in the heart of the Gobi desert or a nomad in the Kara Kum desert or Tiyanshan Mountains. Experience something unique – let us take you horseback riding in Kyrgyzstan, on a camel safari in the Kizil Kum desert, trekking through the spectacular Fann mountains of Tajikistan or a guided hike through a bio-preserve in Uzbekistan. We have local naturalists and adventure experts in all our Silk Road destinations! Niche travel is our specialty! Become part of our family, with special invitations to our homes and traditional celebrations in our communities. Pull up a chair or join in the dancing, visitors are honored guests.